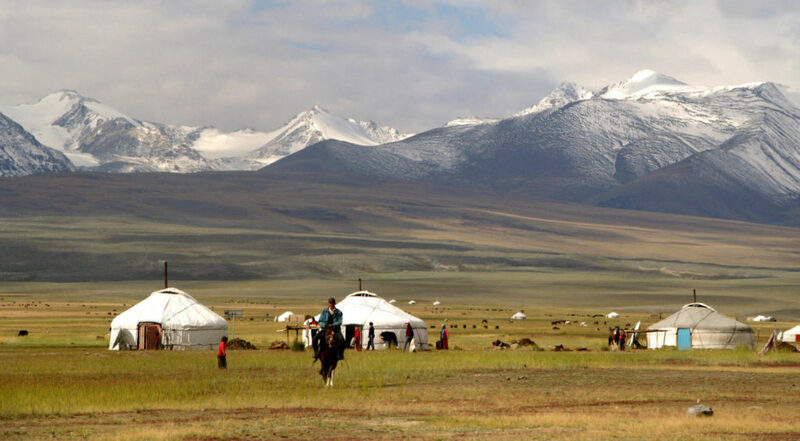 Mongolia has a four standard seasons such as winter, spring, summer and autumn. But Mongolian Altai region has special tours, and festivals for All seasons! During the summer you can do trekking: on Altai mountains (near to Khoton lake and Altai Tavan Bogd glacier), You can do Eco driving tours; experience nomadic life, visit nomadic family and stay with nomads, see Tuvan throat singing, visit eagle hunter’s family and meet his trained hunting bird (golden eagle). And of course horse riding and horse trek with local nomads. Climbing up to Malchin peak, walk on the glacier or camp just next to glacier and enjoy most beautiful view of snow caped mountains. You can visit at September to October for Golden eagle festival in Western Mongolia, Bayan-Olgii province. From October to December there is another amazing thing to do is Hunting with Golden Eagle.